Access Continu by using Single Sign On via your identity manager provider. 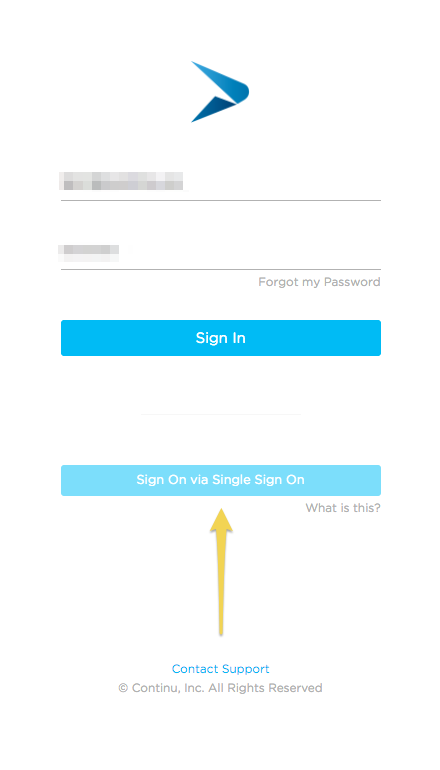 Single Sign On gives you the ability to sign into Continu without using an email address or password. If you have any issues please contact your IT Team to ensure Single Sign On is setup.